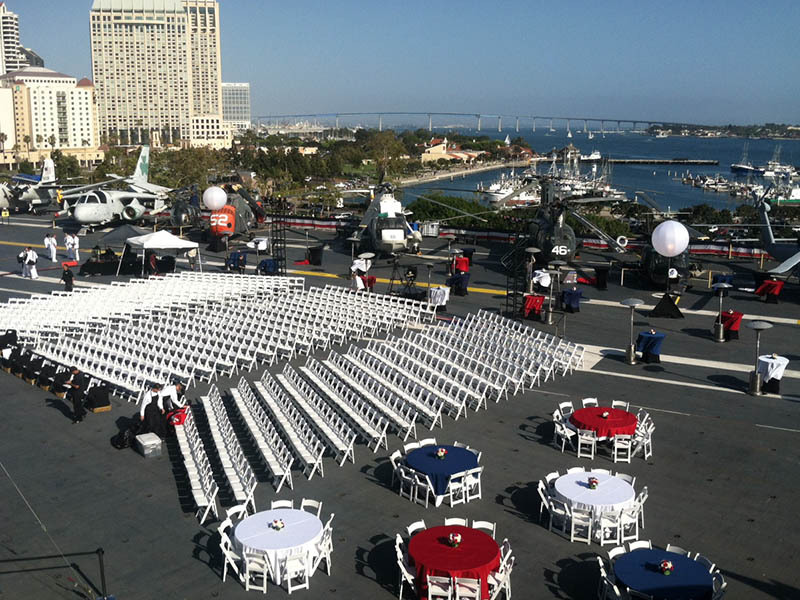 Invite your guests for an unforgettable event on Midway’s four-acre outdoor deck floating in San Diego Bay. 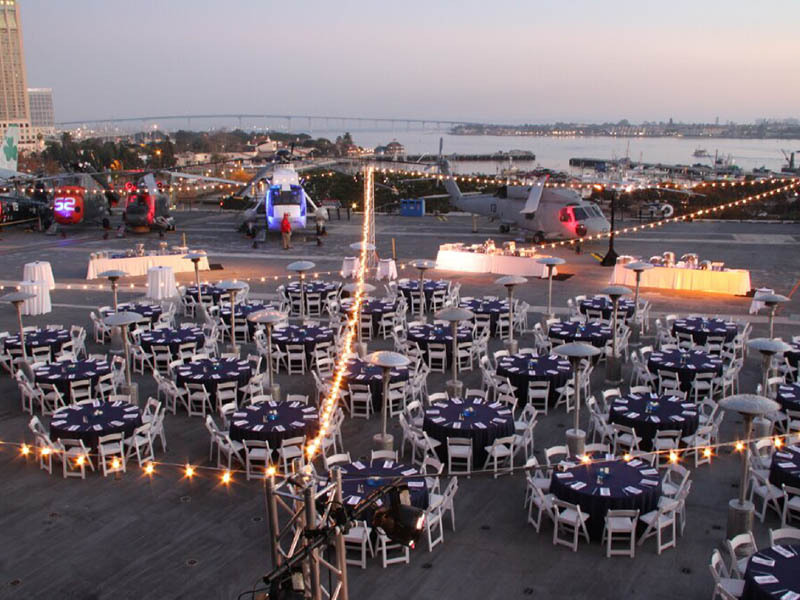 Rising 50 feet over the water, the flight deck features unparalleled 360-degree views of San Diego, spanning the downtown skyline, San Diego-Coronado Bridge, and Point Loma. 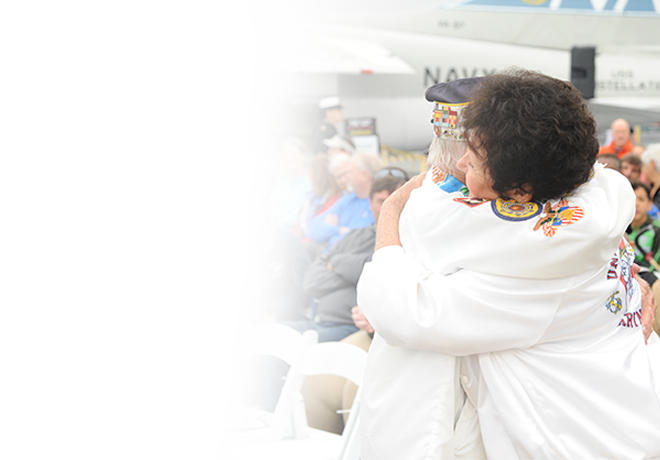 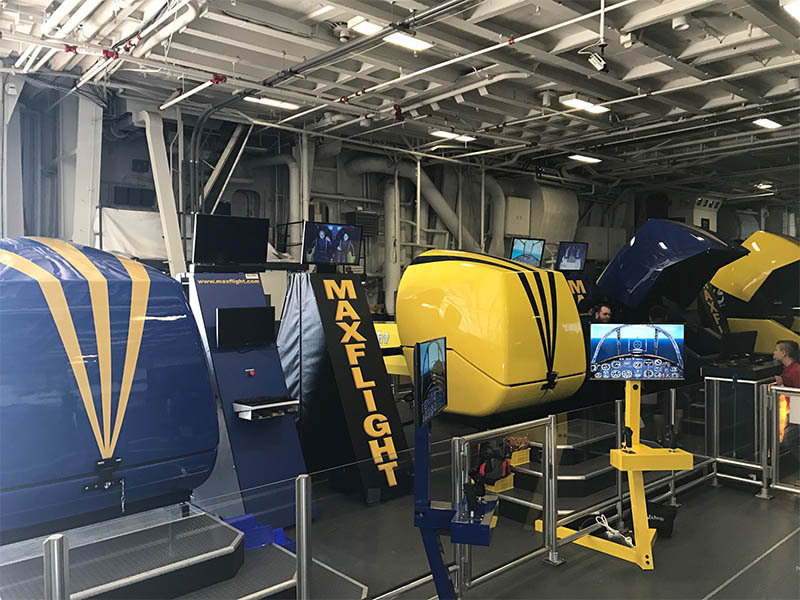 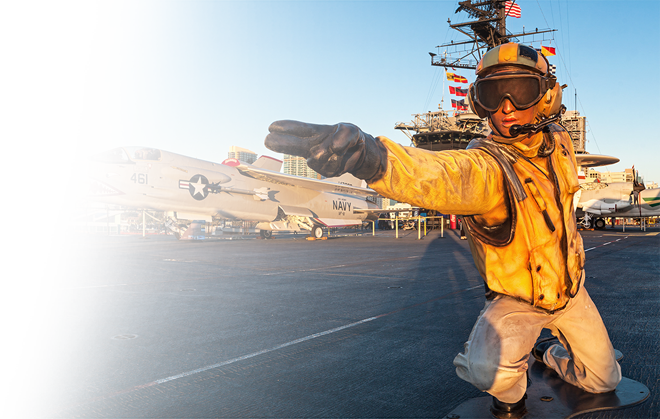 Just as inspiring are the more than 30 remarkably restored naval aircraft on the flight deck, spanning nearly 50 years of naval aviation, from the dawn of the jet age in the early 1950s to Operation Desert Storm in 1991. 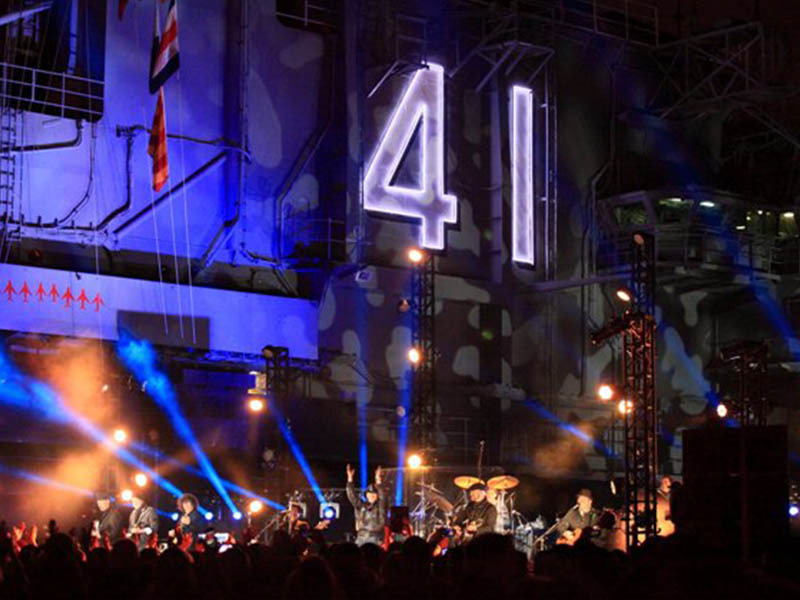 Many events are held at the base of the superstructure beneath the ship’s signature “41”, which provides a towering backdrop to the festivities. 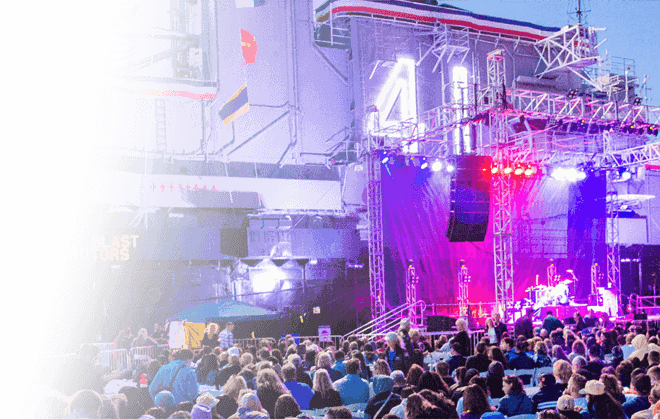 Dramatically lit at night with “up and over” lighting, flight deck events concentrated near the island are unforgettable. 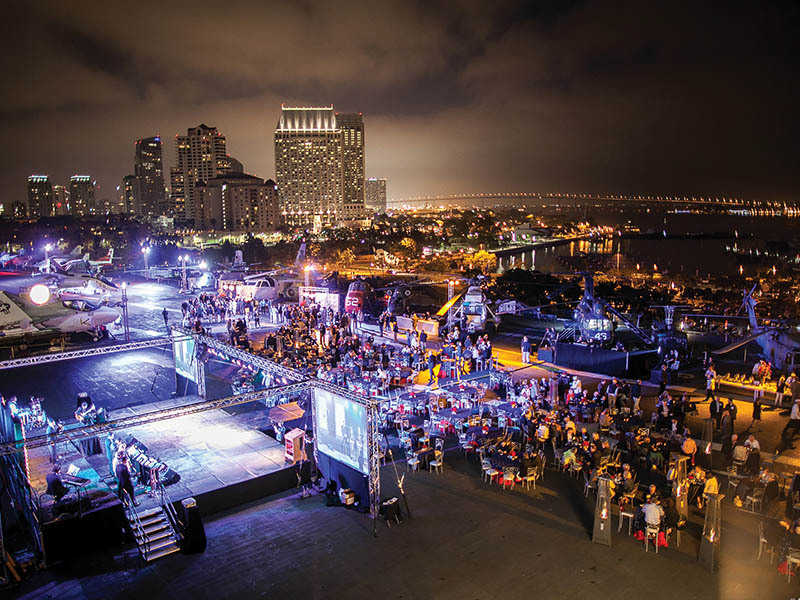 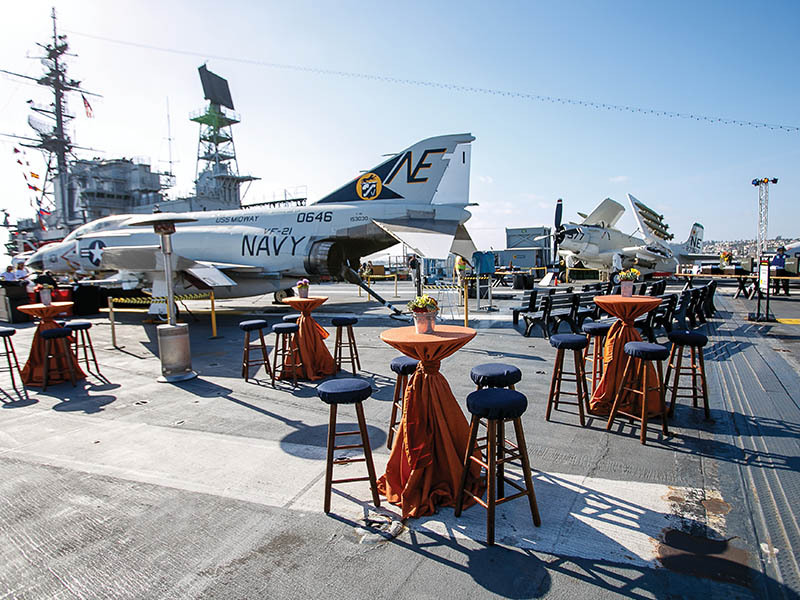 Big or small, the flight deck’s flexible vast space is the hallmark of any event, where 50,000 square feet of usable space is available to be transformed for a custom experience for your guests. 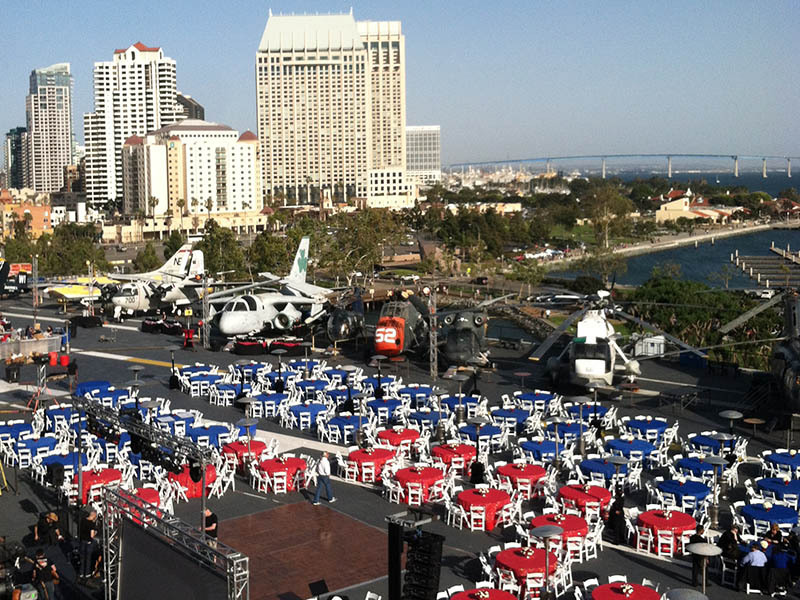 Guest capacity from 150 to 4000 guests for reception-style events. 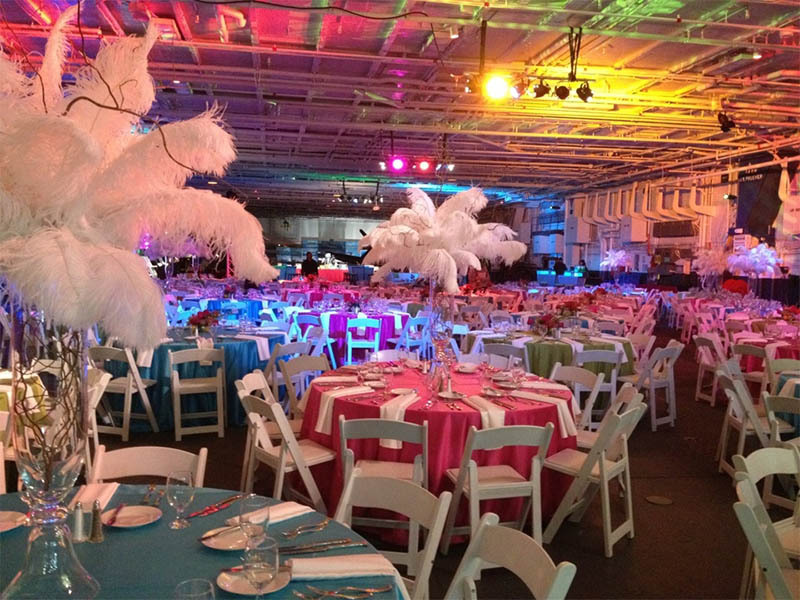 Seated events from 800 to 1200 based on event requirements and event format. 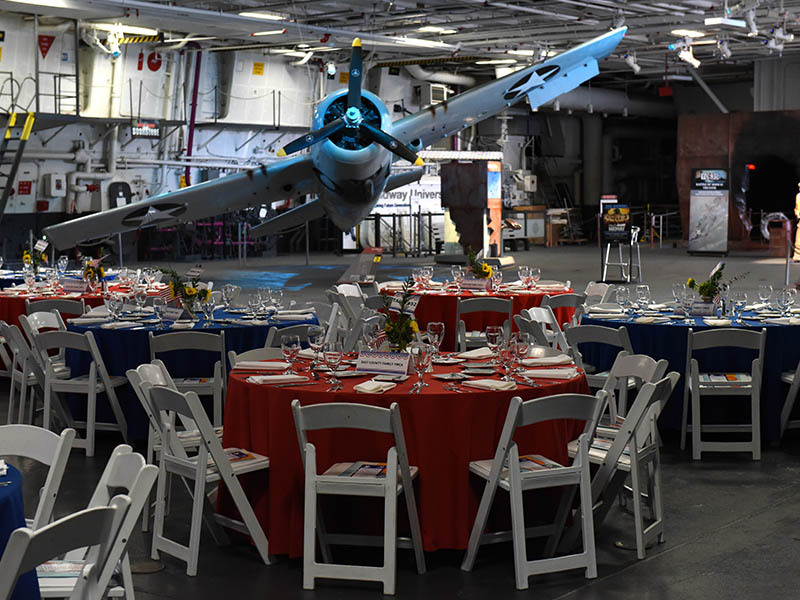 Midway’s hangar deck is our largest indoor space, comprised of Hangar Bays 1 and 2. 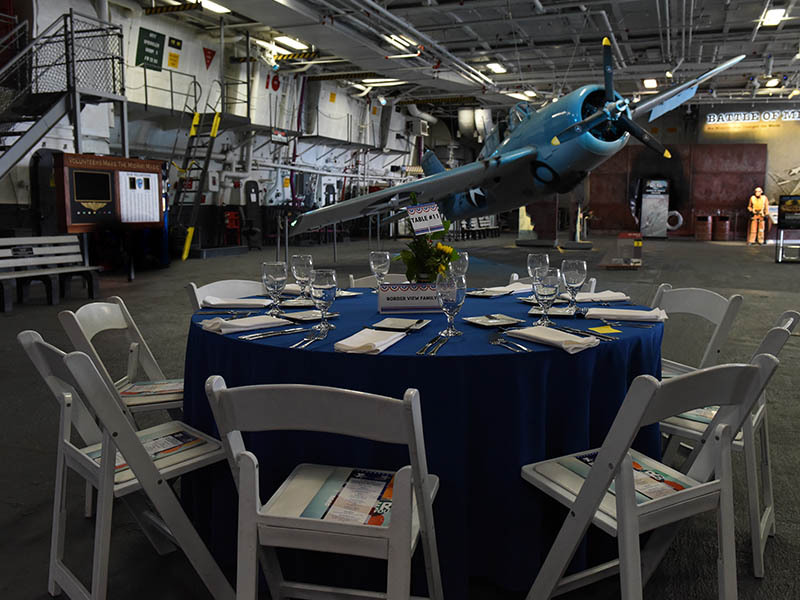 Totaling approximately 17,000 usable square feet, the hangar deck features meticulously restored World war II aircraft. 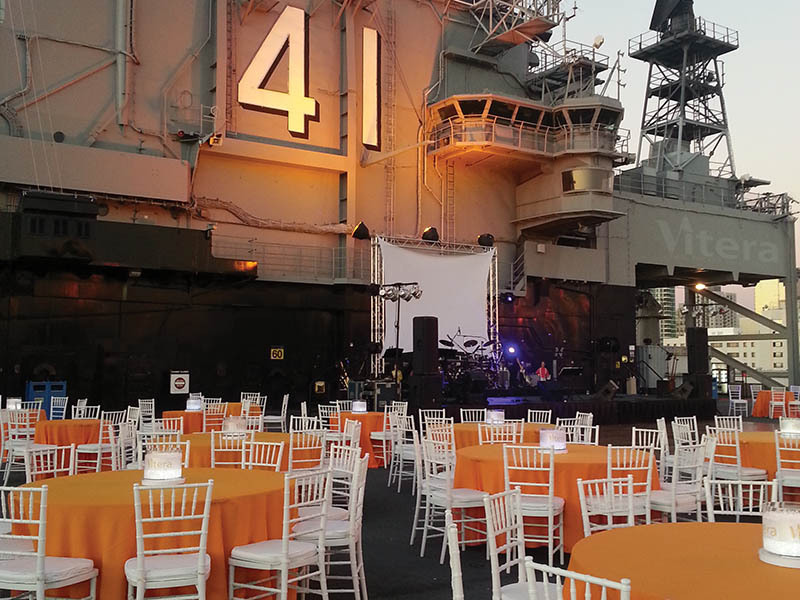 They create a dramatic and unique backdrop to every event and lend themselves to a variety of unique themed events. 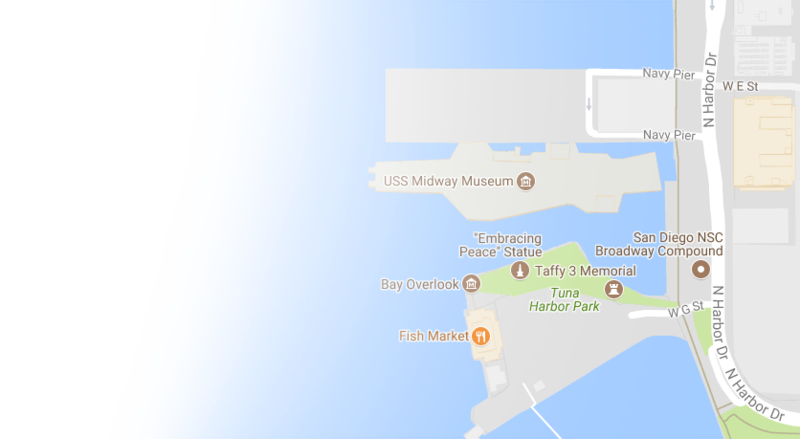 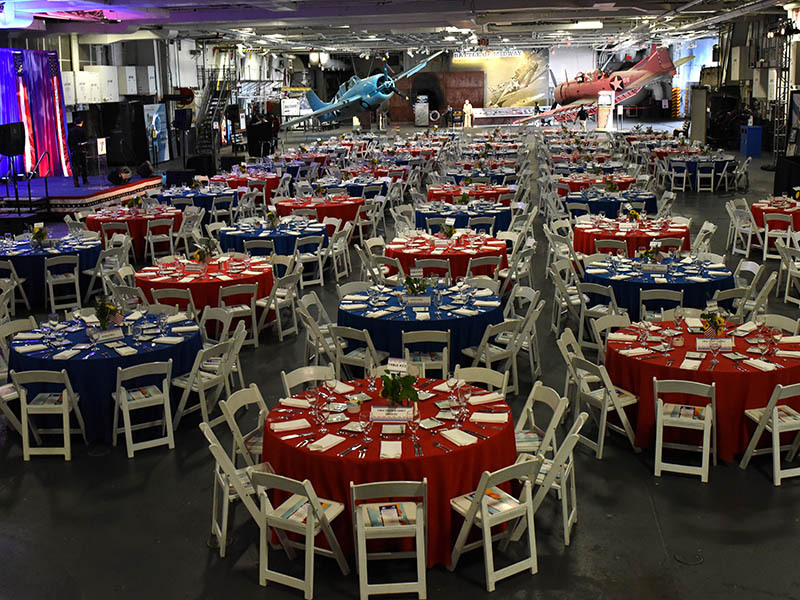 Larger events are held in Hangar Bay 1, which also features the Midway’s 90-seat Battle of Midway Theater and exhibit. 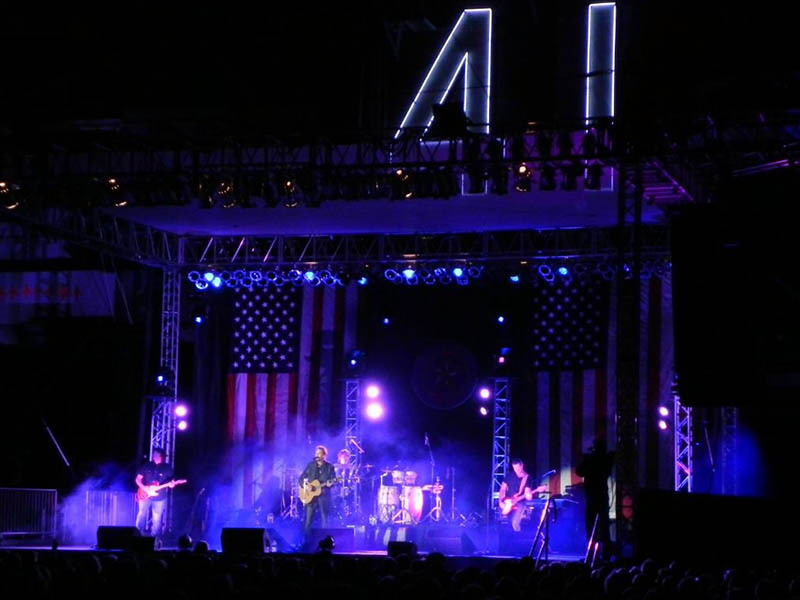 Various lighting options are available to create even more drama. 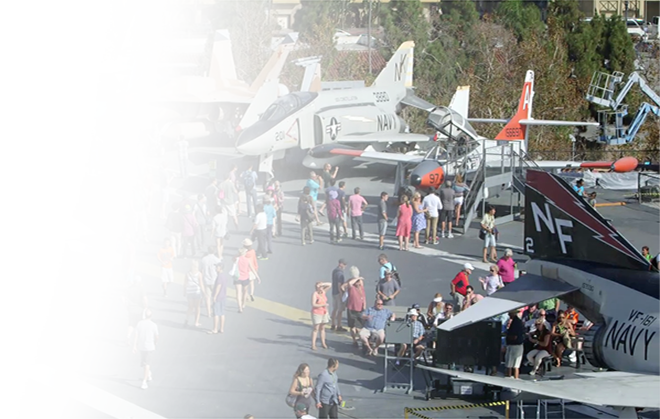 Immediately adjacent in Hangar 2, guests can climb into a variety of cockpit exhibits, experience a flight simulator, or visit the gift shop. 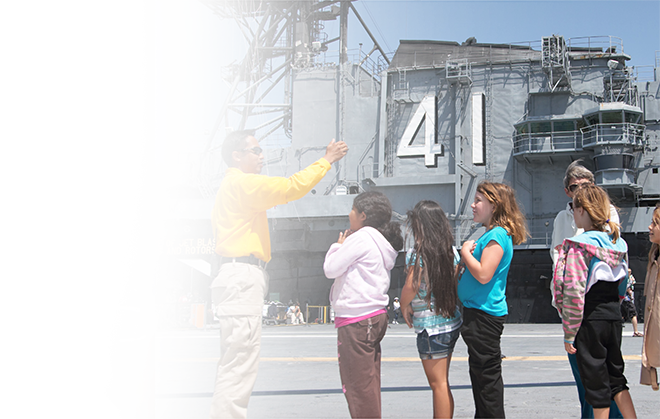 Flight elevator 3, located on the port side also provides and inspiring view of San Diego. 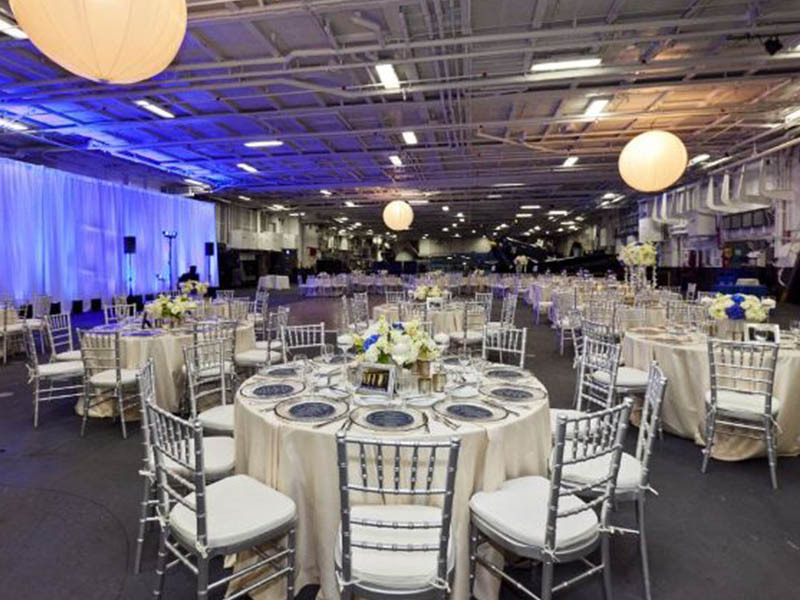 Guest capacity is approximately 150 to 600 guests for a seated event or 1500 for a reception-style event. 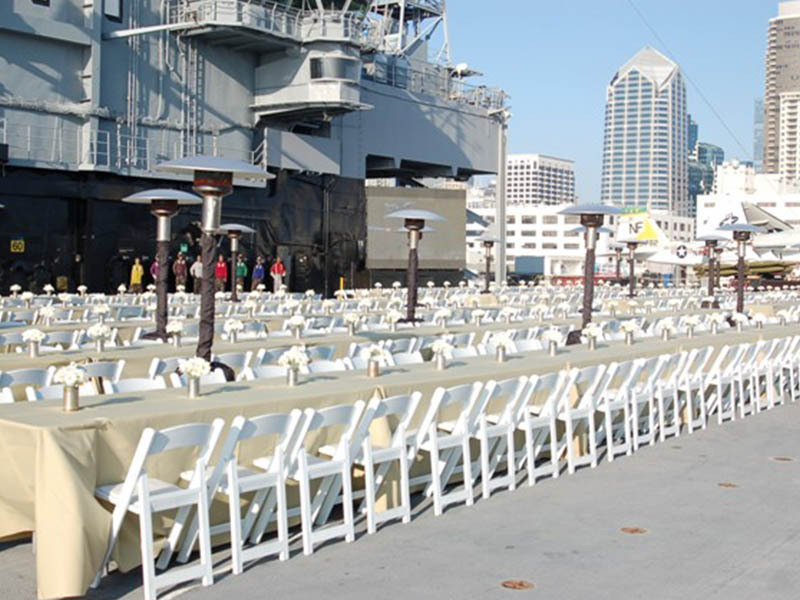 Guest capacity varies based on event requirements and event format. 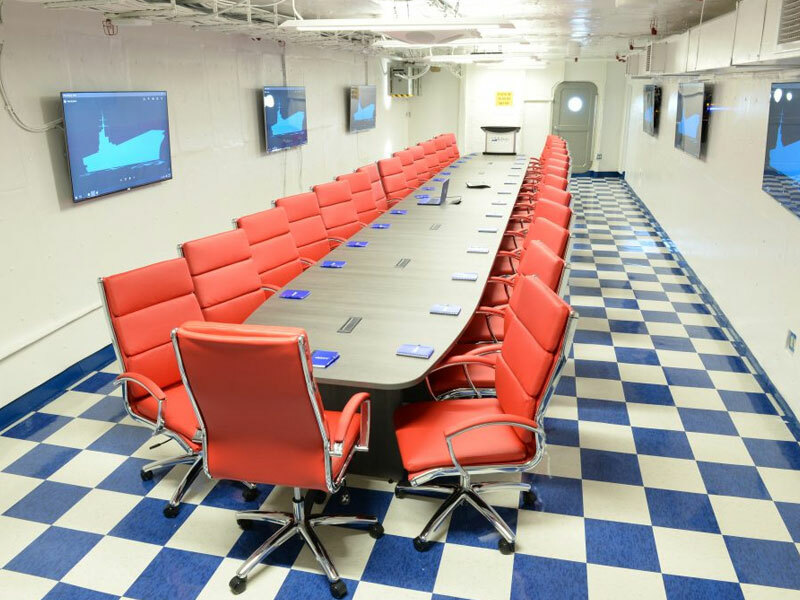 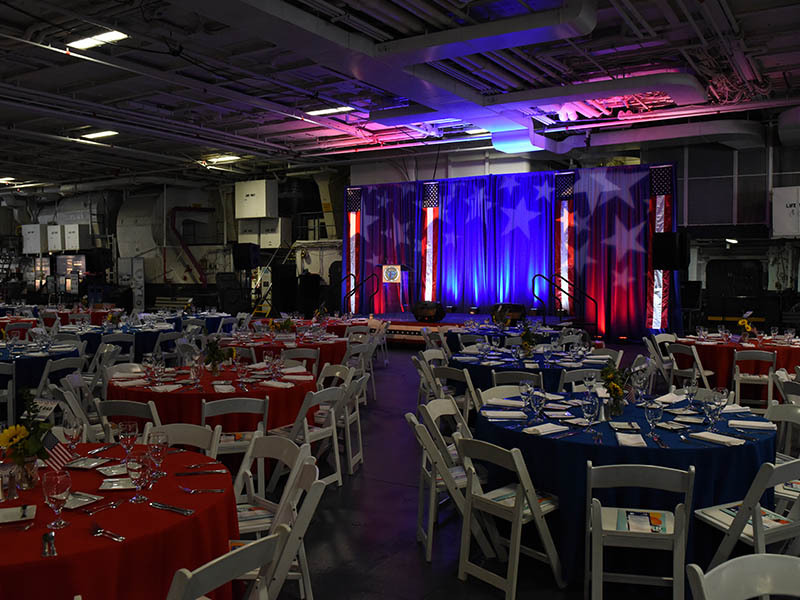 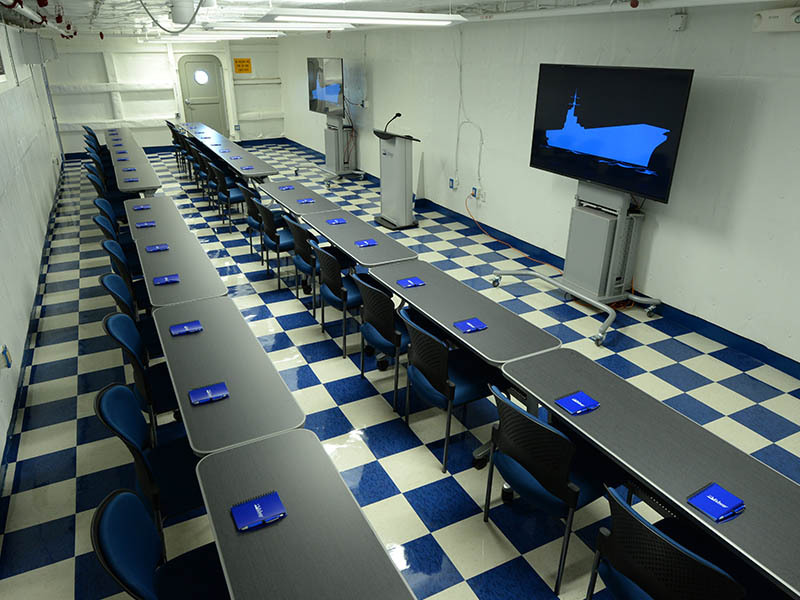 Make your next daytime meeting truly memorable by holding aboard a restored aircraft carrier! 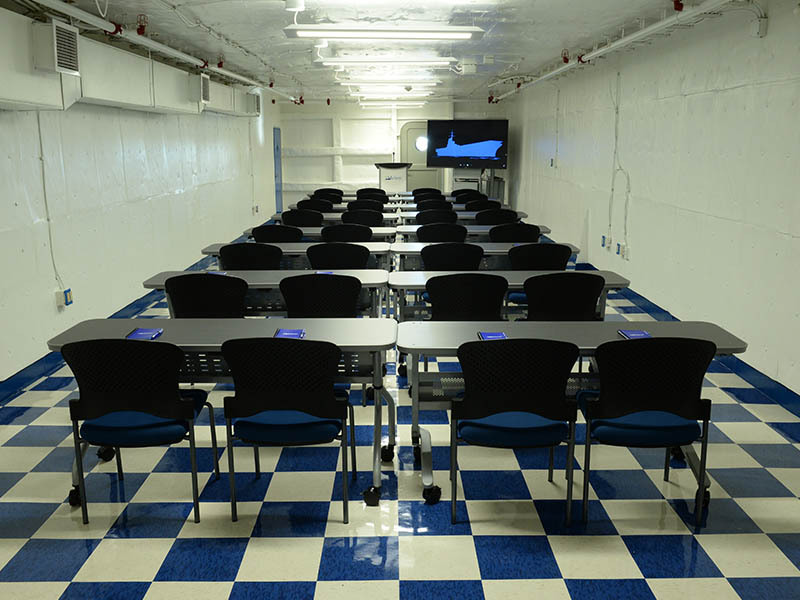 Midway’s meeting spaces are comprised of two larger conference rooms and adjacent smaller breakout rooms. 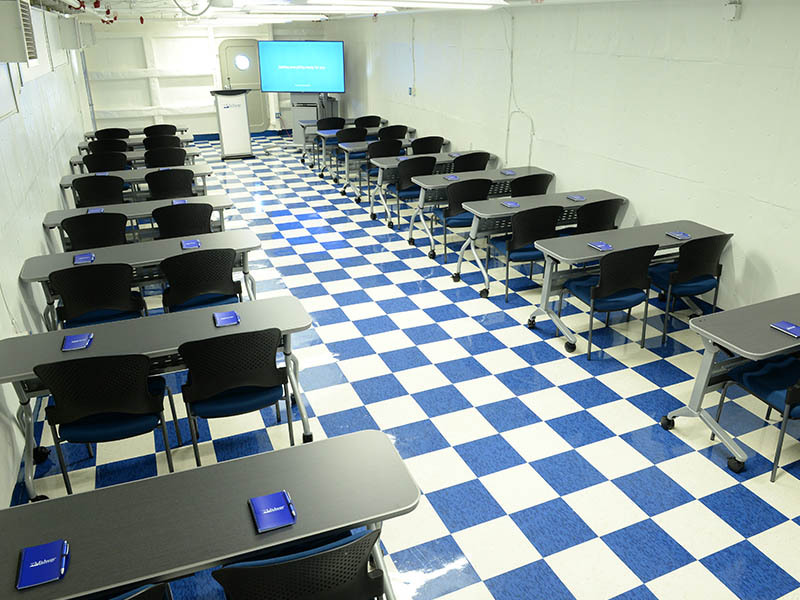 Available Monday-Friday, 8 a.m. – 5 p.m. 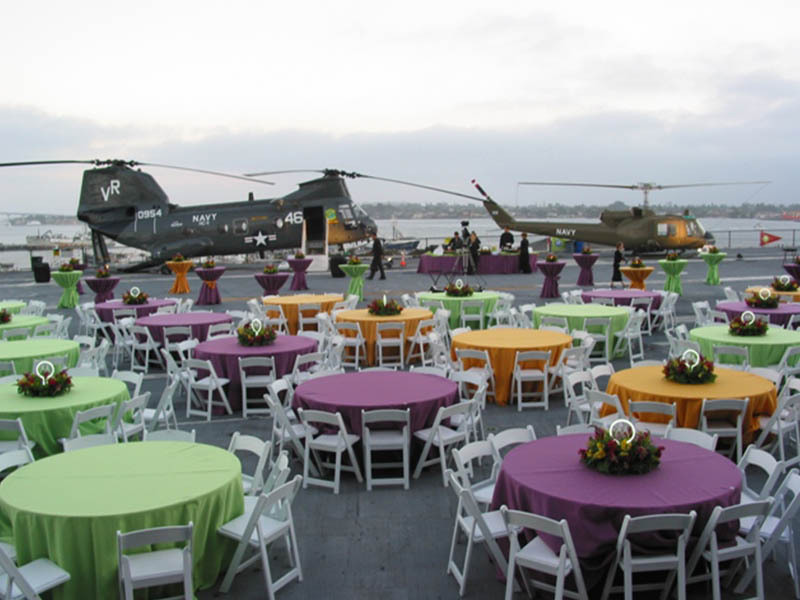 Catering services and beverage/coffee packages available.